You may have noticed how quiet it's been lately. I have been busy trying to work and pay bills. Doing non-traditional work has been quite an experience for me. Don't get me wrong, I love outreach and I enjoy sharing what I know with others as a consultant, but doing it as my full-time wasn't my strong suit. And I'll admit I miss academia culture - the teaching, research, and going to journal clubs - and doing hands-on outreach. What can I say, I'm a nerd and I am proud. So imagine how geekily excited I was when I was asked to join the newest Science Blogging Network on the Globe -- @ScientificAmerican Blog Network. If that sounds a little familiar to you, then you can certainly understand my excitement and pride over joining the network. It's the name of a rather popular science magazine. Perhaps you may have noticed one or both of these magazines on the shelves in your local bookstore or public library. I'll be an official blogger for them, meaning I'll continue to write in my usual tone and form for them online. The blog I have at Scientific American will be called The Urban Scientist - which will feature posts about urban ecology, evolutionary biology and diversity in STEM. Essentially it is a combination of both this blog and my other blog SouthernPlayalisticEvolutionMusic. I'll continue to write about science for non-scientists and I hope everyone finds some new favorite science blogs to enjoy while you're over there. Dive deep, please. I can't write unique content for three science blogs. And since I will be paid for writing for Scientific American Blog Network, The Urban Scientist will be my blogging priority. The good news is that I am allowed to syndicate my content at my blogs, which I will do for some time initially. But I will have to make a decision soon. This blog is my baby, I'm not ready to let it go, at least not just yet. So please come check out the new blog and the awesome blog network. Please leave a comment at the new blog. 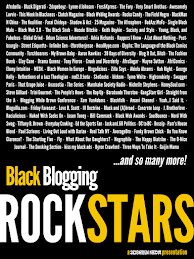 It includes some amazing bloggers. I think it's a great neighborhood and I hope everyone enjoys all of the great science reading to be had among my new SciAm blog siblings, including Papa Smurf himself - Bora! Yay! 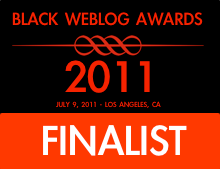 Thanks for love, the support (moral and financial), the prayers, the encouragement, and critiques. You made this modest little blog and me - a student who struggled fiercely with her writing - a better blog/writer and it was with your kind thoughts and wishes that this blog was noticed and asked to be apart of something grand. Thank you very much. With all of my love. 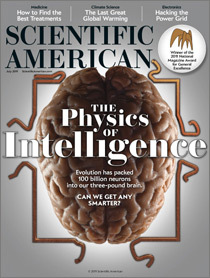 I would have left this message over at the Scientific American but didn't feel like joining the site. Tell them that they may get more participation from the public if they use Facebook comments or Disqus. Wow, congratulations! It is great to hear that blogging has paid off for you and you are joining the big leagues. I can relate the three blogs is hard to keep up. Will miss seeing this one, but sounds like a wise move. Yay! Congratulations! I can't wait to read your new blog. 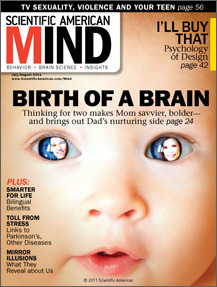 I love Scientific American, my favorite science magazine, and am still reading the articles in the recent magazine about the mind of a mother :) I hope you fun with your new blog! Thank you everyone. The SciAm folks are working on the comment thing. But I will share this with them.